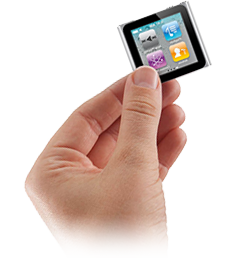 The iPod photo was released by Apple, it's a unit that was particularly designed to view photos on, but it also has MP3 capabilities, similar to all of the previous iPods. The iPod photo commonly needs complete rehousing services, because the screen is much smaller than previous iPods. Screen replacement services are actually needed from time to time though, so LCD replacement is a common service here on The iPod Repair Centre. We also provide front casing and rear casing services, as well as headphone socket fixes in case your headphones have stopped working with the device. This is a service that is widely needed and we do our best to ensure that whatever you contact the The iPod Repair Centre about we�ll do our best to offer you a quick fix and an affordable solution!